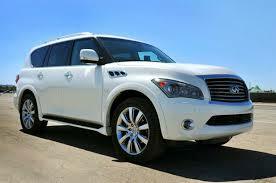 Infiniti QX80 is the newly named 2014 avatar of the Infinity QX56 from last year. One of the best full sized SUV in its niche, the Infiniti QX80 virtually has it all to qualify as the best when one talks about a big, powerful vehicle that looks just at appealing as it rides. The 2014 Infiniti QX80, for the very reason of being super amazing in the first place, remains unchanged for this model year, despite a little addition in its safety system. Back-up Collision Intervention would be the unfamiliar little thing when you lay hand on this year’s Infiniti QX80. While the beast offers humungous power, rating at around 400 ponies, it keeps the strength of Hercules, towing a whopping 8,500 pounds at once. All the muscle comes from the V8 that sits under the hood of this plush 2014 Infiniti QX80. Just as the strength of the vehicle leaves one in awe, the interiors stand equally breathtaking. Classy and sophisticated, the interior of the 2014 Infiniti QX80 is capable of making at least a sum of 6 people, to enjoy its luxurious ride, together. And since the vehicle seems to be on a spree of acing in every other attribute how could it possible lag behind when it comes to safety. Every possible safety technology one can ever need can be found in at once in the 2014 Infiniti QX80, along with the newly added, back-up collision improvement system. The entire rumble for an Infiniti Qx80 comes from a 5.6 liter eight cylinder engine, which readily produces about 400 horses and 413 pound feet of twist. The V8 is mated to a seven speed automatic transmission which is standard for the 2014 Infiniti QX80; as is the rear wheel drive. The deluxe sports ute comes with an optional four wheel drive as well. The SUV is capable of reaching a speed of 60 mph from rest in a sprint time of 6.8 seconds, which, as a matter of fact, is quite impressive for a vehicle that big. Even the EPA ratings of this luxury SUV do not fail to impress with a combined 16 mpg that is 14 mpg city and 20 mpg highway. The 2014 Infiniti QX80 comes with a fully equipped cabin that is pure delight to look at. The supreme quality materials gone into the making of the interiors of 2014 QX80 surely mark their presence. While the amazing array of gauges and bells and a monitor bring pleasure to those who are in love with technology, the amazingly simple user interface helps those who’re not into it all that much. 2014 Infiniti QX80 impressively justifies its brand name by being amazingly athletic. The buttery smooth shifts, strong acceleration and the agility of a ninja all packs into one brawny vehicle called the Infiniti QX80 that stands proud on 22 inches wide wheels. While the SUV faces a fair amount of competition with models like the Mercedes Benz GL Class and the Escalade or even the 2014 Lexus LX 570, the Infiniti QX80 has something about it. Kia Borrego, when debuted in 2009, seemed like a promising vehicle but it didn’t make success. The truck like SUV was a blend of more conventional features in order to build a traditional utility vehicle. The body-on-frame architecture of the SUV combined with a V8 engine to supply enough power to the body was undoubtedly a good attempt from the brand to produce an SUV that could traverse effortlessly on challenging terrains and would offer an impressive towing capacity. However, call it fate if you will, but 2014 Kia Borrego SUV makes much sale. The Borrego after its debut in 2009 just stayed in for as long as a year and then vanished. Back then the SUV had two trim level options which were the LX and the EX. Each trim level provided a choice between two different engines. One could choose his Borrego to be powered by a 3.8 liter six cylinder engine that was good for 276 ponies and produced a toque that summed up at about 267 pound feet. Or, there was an alternative! One could also go for a 4.6 liter eight cylinder grunt. The massive engine had a capacity to produce 337 horsepower and 323 pound feet of twist. The transmission had to have an option considering the line of options the vehicle gave. The five speed automatic transmission was mated to the V6 engine while the V8 sported an automatic six speed transmission. Both the trim levels in their basic were two-wheel drives standard, while, a four wheel drive was optional. In all its glory, a 2014 Kia Borrego with V8 had a capacity to tow a massive 7,500 pounds. 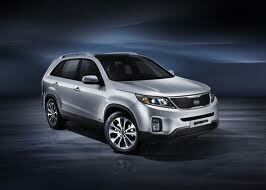 The new Kia Borrego, which is also called the Kia Mohave is supposed to be the savior of the lineup. However, there is not much change in the appearance or the dynamics of the Borrego. It still remains the good old family SUV with traditional features. The 2014 Kia Borrego is powered by a 3.8 liter six cylinder grunt. Backed by a six speed automatic transmission the Kia Borrego 2014 is a decent SUV in its niche. The new suspension in the 2014 Borrego is one of the best additions to the SUV. This completely independent air suspension is accompanied with other additions as well. The 2014 Kia Borrego gets a bigger and better safety system. Along with the common brake assist, side and front airbags and stability control and such features, the 2014 Kia Borrego is also equipped with ABS brakes, EBD (electronic brakeforce distribution), Downhill Assist Control and Hill-Start Assist Control systems. It’s almost like the new safety system in the 2014 Kia Borrego is like an auto-driver to the vehicle. Just like the 2009 Borrego, the 2014 model sports the low-range gearing. Also, the body-on-frame architecture and the four wheel drive base come unchanged. It still remains the old-school rugged SUV that is an off-roader at its heart. Still, whatever changes the Kia Borrego has undergone have been for the better. It will be interesting to see if it reaches out to the customers and makes great sales unlike the 2009 Borrego. Among the biggest automakers, the daddy brand General Motors, revealed another of its take on the hybrid MPV Concept when it presented to the world, the Chevrolet Volt MPV5 Concept in the Beijing Auto Show, 2010. The five seater vehicle is an MPV featuring Volt’s platform along with an enhanced powertrain. This is an addition to a lot of different versions of Volt that have been put forward by the General Motors. One version of the Volt, custom made for Europe called the Opel Ampera has already hit production. Another version was presented as a concept from the baby brand Cadillac, called the Converj. Then the theme behind the Chevrolet Volt was sprinkled over with some sportiness and the outcome was the Opel Flextreme GT/E Concept. Now that brand has come up with a version of the Volt that is more of a family vehicle. Just like all the other hybrid vehicles that are on a rage these days, the Chevrolet Volt MPV5’s engine is also a combination of an electric motor backed by a battery. Under the hood, the MPV5 houses an electric motor that is good for producing 150 ponies and impressive 370 pound feet of torque. The numbers are on par with a vehicle in this niche. The motor is backed up by a lithium ion battery. The T-shaped battery supplies 16 kWh to the motor. All of the thrust provided to the vehicle is the sole input from the electric motor. The gasoline engine of capacity 1.4 liter exists onboard. However, the purpose of this engine is restricted only to generate electricity after the batteries retire. The brand claims that the Chevrolet Volt MPV5 possesses an all electric range of about 32 miles while sporting and all gasoline engine range of 300 miles. Plugging in an MPV5 to a regular household supply of 120 volts, fully charges up the Volt MPV5 in more or less eight hours. However, a 240 volt outlet reduces the time by four hours. This minivan, after taking a stroll of about five minutes, reaches a top speed of 100 mph. There is a clear glimpse of Volt Sedan when you check out the interiors and exteriors of the Chevrolet Volt MPV5. The understate grille and the bumper are so Volt that it is next to impossible to miss the resemblance. Even the wheels of the minivan take notes from the Chevrolet Volt. The Chevrolet Volt PV5 has been designed to amplify aero-dynamicity as much as possible. The blades and spoiler on the back along with the specially designed taillamps serve the same purpose. On the inside, the Chevrolet Volt MPV5 is roomy for its niche and is equally comfortable. The interiors get beautified with the leathers seats that are bi-hued and, gauges in a tint of sapphire. 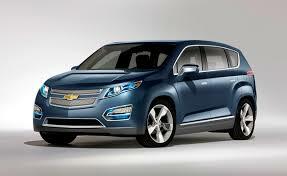 The Chevrolet Volt MPV5 is not as breath taking as other concepts from the brand. But it surely is a simple, more family-oriented vehicle that could attract a fair share of customers. The concept is very likely to hit production after the Chevrolet Volt sedan does. Subaru has been quite a famous and not to mention successful name in the automobile world, and has also made quite an impact on the market with its extremely famous Outback SUV. 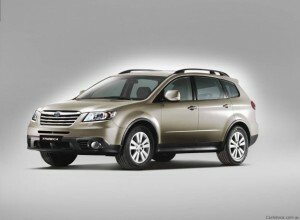 However, the Subaru Tribeca did not become the second Outback for the company as they had expected. Even after being in the market for over a few years now, theSubaru Tribeca SUV hasn’t quite made a name yet, proving to be one of the least successful vehicles launched by the company. Launched with a unique and not much liked face, the SUV underwent a face lift, gaining it some name. 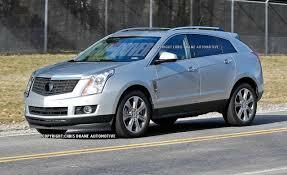 Now the company has made impressive changes in the interiors of the SUV, hoping for a better outcome for the vehicle. Although extremely beautiful, the SUV’s interiors are not as spacious as one might expect them to be. A dashboard made of organic material shines in the front as it holds the controls and the screen to the central console. One might remarkably make out the modern look that the interiors feature. However, as mentioned above, the Subaru Tribeca does not feature a lot of space. Although there is a third row of seats in the rear, but it is not suitable for adults at all. Only small children can fit in comfortably, and the third row is also to be blamed for the small boot space. The Tribeca features a boot space less than half than the other SUVs of the same category feature, just 8.3 cubic feet! The new 2014 Tribeca SUV comes with an impressive 3600cc engine with six cylinders arranged flatly. The engine is capable of producing a power of 256 horsepower at 6000 rpm and a torque of 247 lb. – ft. at 4400 rpm. This engine is mated with Subaru’s all-wheel drive system and a five speed automatic transmission. One thing that gives the Subaru Tribeca an edge above others is the fact that it offers a very sharp and smooth ride. It feels and handles remarkably leaner than it is actually otherwise. However, the low mileage that it features (16 miles per gallon in city and 21 miles per gallon on highway) pulls it down back to where it was. The 2014 SubaruTribeca SUV however features quite an impressive array of features in the interiors as well as exteriors. The front seats of the SUV come with power adjustment buttons as well as temperature control. You get a 385 watt 10-speaker audio system with features like auxiliary input. The system also supports Bluetooth connectivity. You will also enjoy an automatic climate control system. You can also opt for the optional navigational package which will bring to your SUV excellent features like a 7 inch display navigation system, rear camera, a nine inch ceiling display and a DVD player. On the exteriors, you will find a 18 inch alloy wheel set as well as fog lamps. The vehicle is also loaded with impressive safety features like traction and stability control system as well as airbags in the front, front side as well full length on the sides of the vehicle. The Subaru Tribeca has faced intense competition from vehicles like the Mazda CX-9 and the Dodge Durango, and hasn’t been very much successful yet. Let’s see what 2014 brings for the company! The Lincoln Navigator has always been a much loved luxury vehicle for whom the size matters. The big SUV was almost a trend setter. This huge SUV gave automakers like Cadillac and GMC a proof of the virtual law made by Lincoln itself – Size of an SUV is directly proportional to it success. 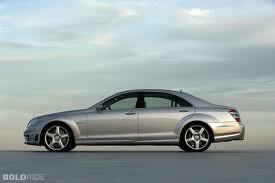 The vehicle is has been so luxurious and stylish that it made it even set its position among celebrities. The recent news about the Lincoln Navigator has cheered up many steadfast customers of the brand. 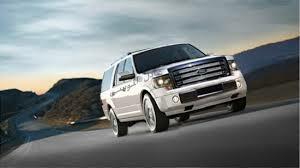 Refreshed with as amazing features it could get as of now, the 2015 Lincoln Navigator was launched with a bang. The 2015 Lincoln Navigator will be savior of the present Navigator line up from the brand. Better news followed with the official launching. The brand plans on redesigning the Navigator into something totally new. That translates to a possibility of seeing the next generation of Lincoln Navigator, soon. The Lincoln Navigator has been changed on the outside as well as from under the sheet metal for the year 2015. While the car will sport a better, newer face and rear, on the inside it will get more efficient with an engine that’s been reduced in size to heighten the fuel economy. The size is to be kept just the same. The vehicle that makes Ford so proud, Lincoln Navigator’s capability of seating eight passengers comfortably is one of the major factors of its fan following. The updates have never been so crucial considering the fact that SUV’s like Escalade, which were built following the footsteps of the Navigator, now, has much better sales than the Navigator. Now that the Navigator has been upgraded in accordance with the need of the present time, it is expected to stand as one rough competitor for the Cadillac Escalade. Among the twenty upgrades that the 2015 Lincoln Navigator features this year, one major upgrade is the new signature grille and a newer hood. This is followed by refreshed taillamps and headlamps which are now brighter than ever. The chrome metallic strip that featured on the sides of the SUV is no longer visible. In place of the 5.4 liter V-8 grunt, the 2015 Lincoln Navigator now boasts a 3.5 liter twin-turbocharged engine. Featuring direct-injection, the engine supplies 370 horses to the SUV and is mated to a six speed automatic transmission. The fuel economy has been amplified by a significant factor due to the smaller engine. Calculated values state 16 mpg in the city and 22 mpg on the highway, for the new Lincoln Navigator. The SUV prepares to leave all in awe with its appearance on the Chicago Auto Show happening on this 6th of February. The 2015 Lincoln Navigator will hit production this year in late summer and there is a high probability of the luxurious and monstrous SUV to go on sale by the end of this year. While the current Navigator is priced at around $ 55,000, the 2015 Lincoln Navigator masterpiece is not yet priced. One of the major names in the market of SUVs, that has the cheeks to pull off anything be it a luxury SUV convertible (Evoque Convertible) or a luxury SUV that is meant to rule among the off-roaders (Defender DC100) is none other than Land Rover. One of the best selling vehicles in kits lineup is the Land Rover range R over Evoque which has always done the brand proud. 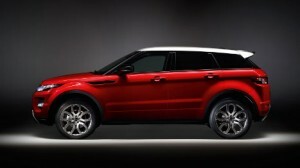 And for the very reason the company is planning to launch a modified and more equipped version of the Evoque by 2016. The vehicle is to be called as the Range Rover Evoque XL, while it still remains under the code name L560. Also, the 2015 Range Rover Evoque has not undergone any significant changes since it was initially introduced and this gives rise to possibility that it will be completely redesigned for model year 2015. The 2015 Range Rover Evoque XL is a joint venture of the company with Jaguar. Albeit the fact that the SUV still is in its development stages, the 2015 Range Rover Evoque XL model will hit the market with a contingent of 80,000 copies. While the production model is anticipated to be out of the veil by the year 2016, it is not yet known whether the model will be for 2015 MY or 2016 MY. The first model to sit on the Jaguar’s new platform, Range Rover Evoque XL will have a full aluminum platform underpinning it. The same platform was featured in the 2014 Jaguar CX-17 Concept crossover which was revealed in the Frankfurt Motor Show 2013. The platform significantly reduces the overall weight of the vehicle, thereby, increasing the fuel efficiency. Along with the platform, 2015 Range Rover Evoque XL will also launch a new engine taken from the Jaguar collection. The new JLR Hotfire line of engines from Jaguar offers both turbo petrol and turbo diesel engines. Pricing for the new 2015 Range Rover Evoque XL is estimated to be more than $ 33,000 which is the estimated price for the Jaguar’s CX-17 concept crossover. The 2015 Range Rover Evoque, incredibly redesigned, will feature a new transmission, redone alloy wheels, extended color palette for both inside and outside. Essentially Range Rover, the Evoque 2014 has been an SUV that is virtually perfect with features like its Toque Vectoring system, upgraded brakes with Active Driveline, Closing Vehicle Sensing and Reverse Traffic Detection for smooth maneuvering and a nine speed ZF transmission mated with either a 2.2 L turbodiesel good for 148 hp/187 hp or a 2.0 L turbo petrol producing 237 hp and 340 Nm of twist. With almost all things nice places in one great package of the Range Rover Evoque 2014, it is expected that with the 2015 Range Rover Evoque, the brand will add an accompanying vehicle to their expected hybrid SUVs lineup viz. the Land Rover Range Rover and the Land Rover Range Rover Sport. The current Range Rover Evoque is priced at around $ 36,000 to $40,000. However, the price of the 2015 Range Rover Evoque is not yet known. The GMC Terrain has been known to be quite spacious as well as sturdy looking, and has earned an impressive reputation in the same field. 2014 brings no change in this perception of SUV lovers as the company has not planned to make any changes to this image of the excellent SUV. Contrary to what potential customers might fear, the mighty vehicle maintains its impressive fuel economy still! Recollect that the Terrain is quite similar to its brother SUV, the Chevrolet Equinox in construction, on account of the same owning brand. 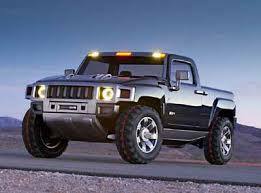 GMC continues to use the Hummer like cuts on the surface of the SUV in order to differentiate it from the Chevy. Being quite a spacious SUV, with excellent looks and a highly economic fuel economy, The 2014 GMC Terrain continues to attract buyers with large families and decent city usage! The interiors of the 2014 Terrain SUV are designed on contemporary basis and it is quite clear that comfort and space was the prime factor that motivated the designers at GMC. You will be welcomed by a wood grained steering wheel, accompanied by an impressive 7 inch touch screen entertainment and information system. The central console mentioned above is accompanied by a sophisticated array of controls and buttons. It is quite worthy to mention that the SUV is although quite large in size, does not feature a third row of seats. What does that mean? Yes! Extraordinarily large boot space! The rear seats of the vehicle are capable of a movement up to 8 inches in case you need to carry large amounts of cargo with you. Also, you can flaunt a boot space of 31.6 cubic feet if you fold the rear seats up! The SUV is quite comfortable even if five adults are travelling together on account of the huge space it features. 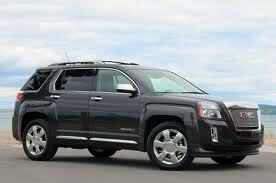 All the models of the GMC Terrain come with a 2400cc four cylinder direct injection engine. These engines churn out a power of 180 horsepower. Opt for front wheel drive system and enjoy a mileage of 22 miles per gallon in city and 32 miles per gallon on highway. All-wheel drive systems deliver mileages of 21 and 31 miles per gallon respectively. However, if this power isn’t enough for you, then get your Terrain upgraded to a 3600cc V6 engine with direct injection. This beast is capable of producing a power of 301 horsepower on the cost of the vehicle’s mileage which drops down to 17 and 24 miles per gallon in city and highway on front wheel drive and to 16 and 23 miles per gallon respectively on all wheel drive. Although the sturdy look of the Terrain often misleads people to believing that it is an unsophisticated SUV, the interiors make it quite clear that it is very much suitable for corporate as well as semi luxury uses as well. Facing competition from the likes of Chevrolet Equinox, Ford Escape and the Mazda Cx-5, the highly loaded with excellent features 2014 GMC Terrain makes a great choice for people with families!